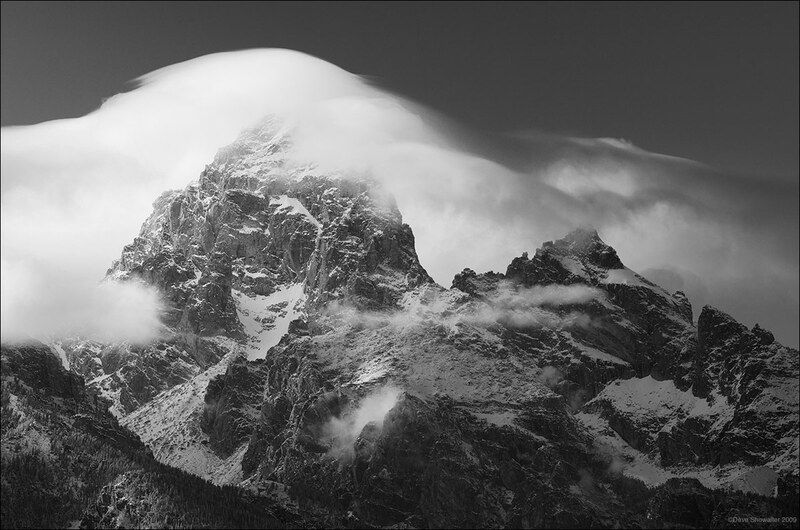 An autumn mountain wave cloud curls over the rugged Grand Teton and Teewinot Mountain at right. The Grand Teton stands 13,775 feet and towers over Jackson Hole. It is rightfully one of the most photographed mountains in North America. Photo © copyright by Dave Showalter.